Sauté the onion and leek in some olive oil until translucent, add the chopped up watercress, 8cups of water and 2 bouillon cubes. Season with celtic salt and pepper and simmer for 30 min. 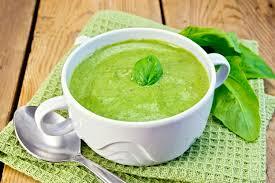 Blend soup in blender or with hand mixer.